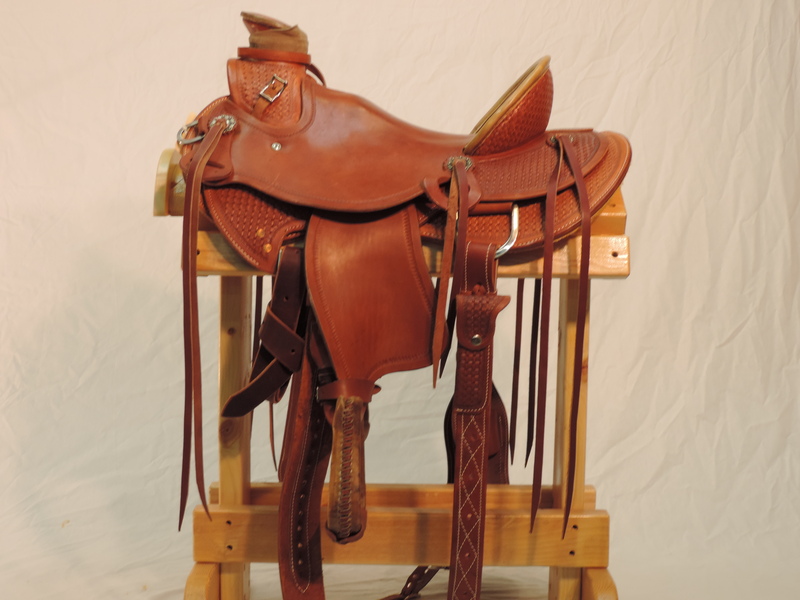 Wade, medium oil, straight up cantle, roughout with a square basket stamp tooling. 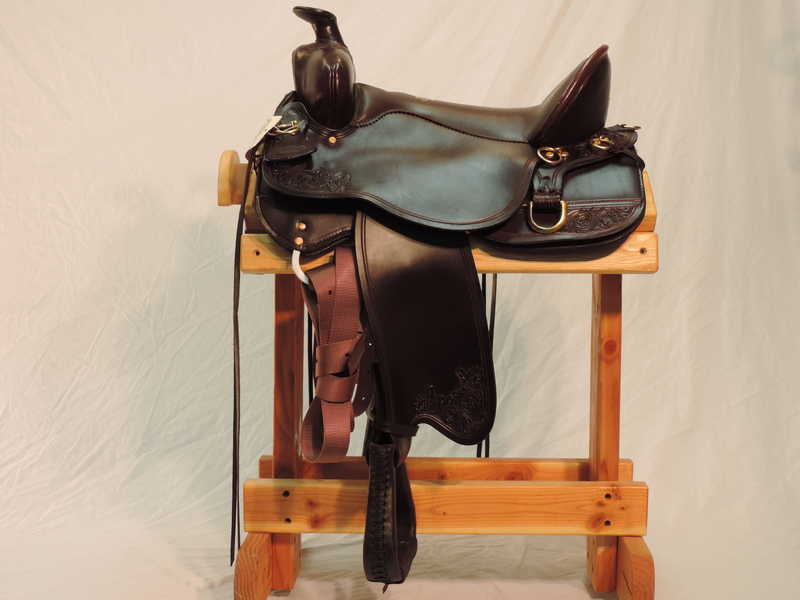 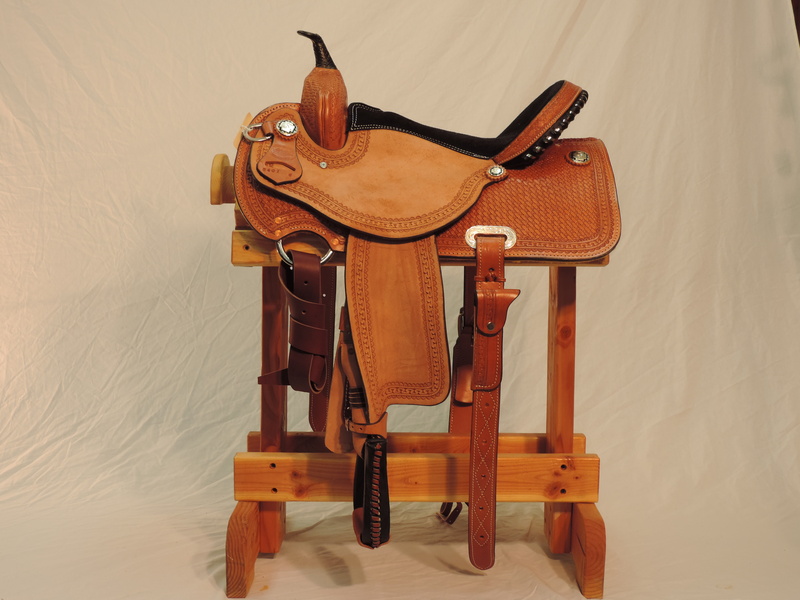 All youth saddles have bull hide trees and come with horse size fittings. 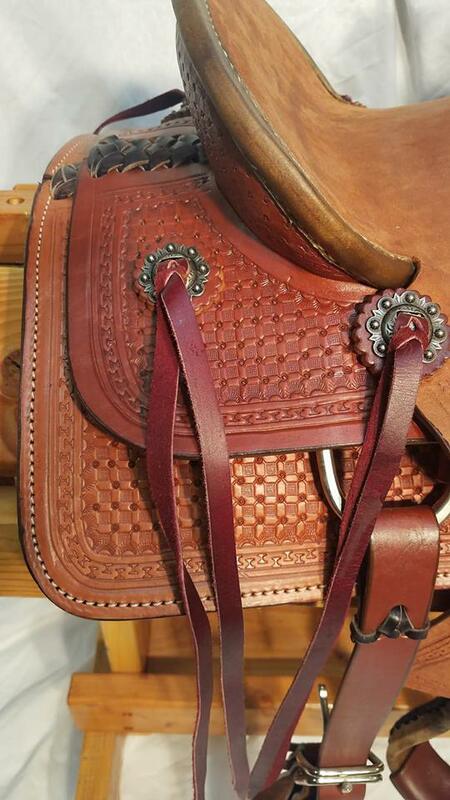 They come with a twist and wrap, youth sized stirrups, hoof pick holder, rope strap and breast collar D’s. 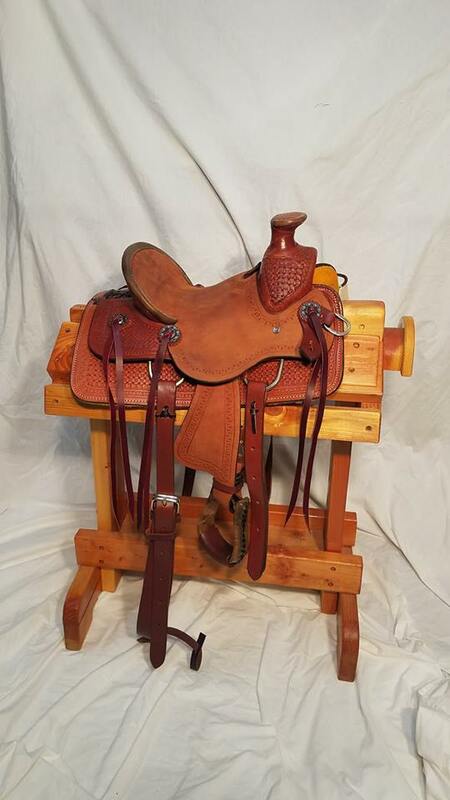 Tapaderos are available for $34.99 more. 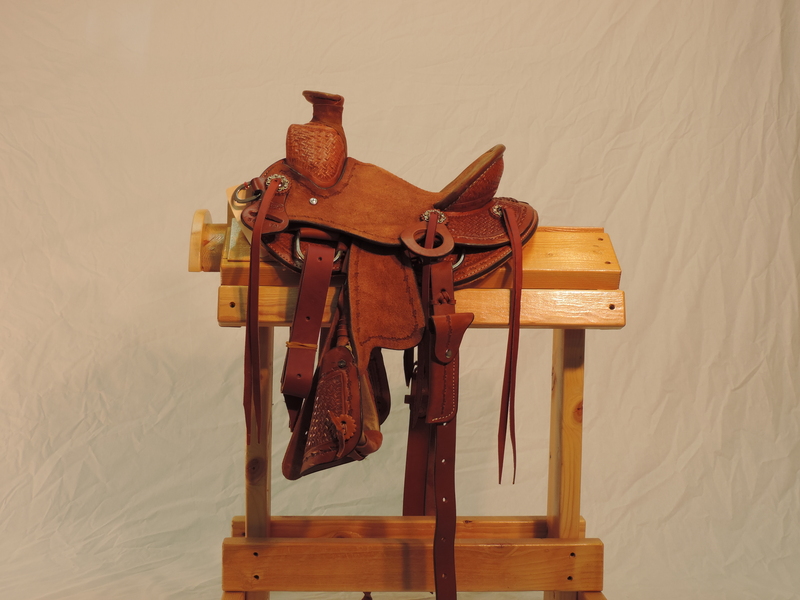 Please call if you have any more questions about these saddles.